This is a “heavy” article co authored by Avinoam Borowsky – it summorizes in one study all the methodologies that we have used in the past to assess hazard perception and risk, and its power is in this overall view. This study investigated the effects of driving experience on hazard awareness and risk perception skills. These topics have previously been investigated separately, yet a novel approach is suggested where hazard awareness and risk perception are examined concurrently. 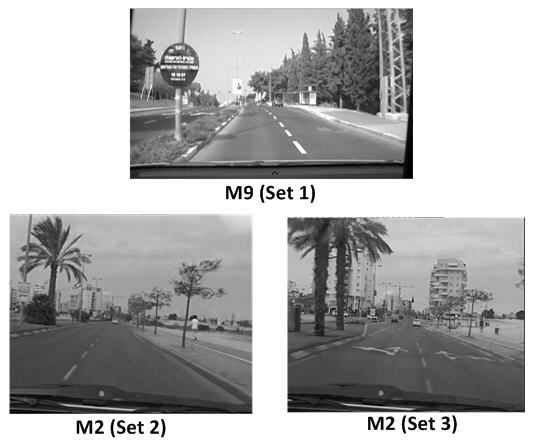 Young, newly qualified drivers, experienced drivers, and a group of commercial drivers, namely, taxi drivers performed three consecutive tasks: (1) observed 10 short movies of real-world driving situations and were asked to press a button each time they identified a hazardous situation; (2) observed one of three possible sub-sets of 8 movies (out of the 10 they have seen earlier) for the second time, and were asked to categorize them into an arbitrary number of clusters according to the similarity in their hazardous situation; and (3) observed the same sub-set for a third time and following each movie were asked to rate its level of hazardousness. The first task is considered a real-time identification task while the other two are performed using hindsight. During it participants’ eye movements were recorded. 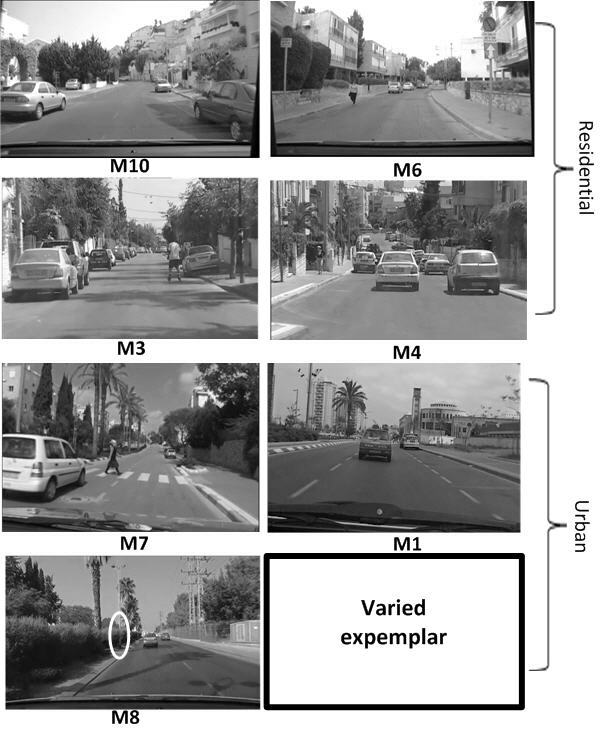 Results showed that taxi drivers were more sensitive to hidden hazards than the other driver groups and that young-novices were the least sensitive. Young-novice drivers also relied heavily on materialized hazards in their categorization structure. In addition, it emerged that risk perception was derived from two major components: the likelihood of a crash and the severity of its outcome. Yet, the outcome was rarely considered under time pressure (i.e., in real-time hazard identification tasks). Using hindsight, when drivers were provided with the opportunity to rate the movies’ hazardousness more freely (rating task) they considered both components. Otherwise, in the categorization task, they usually chose the severity of the crash outcome as their dominant criterion. Theoretical and practical implications are discussed. Here is just one example of the manipulation used in the classification task, where we used common still images and one varied exemplar, to asses whether this manipulation changed participants classification. This entry was posted on July 28, 2013, 09:05 and is filed under driving skills, hazard perception, News, Transportation & Safety. You can follow any responses to this entry through RSS 2.0. You can leave a response, or trackback from your own site.